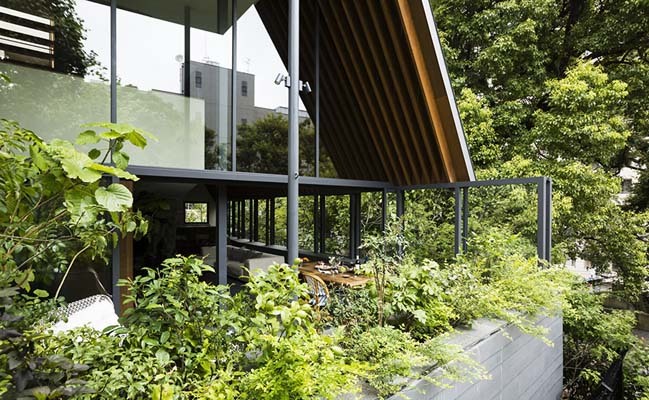 This modern green house designed by Hiroshi Nakamura & NAP with the methodology is similar to this in harnessing the relationship between garden and architecture. 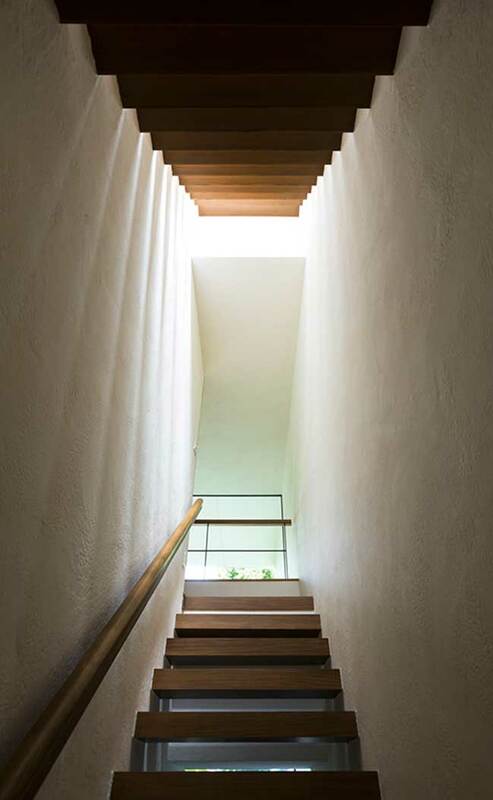 Photography: Koji Fujii / Nacasa and Partners Inc.
From the architects: The site faces a steep hill and stretches narrowly from east to west. 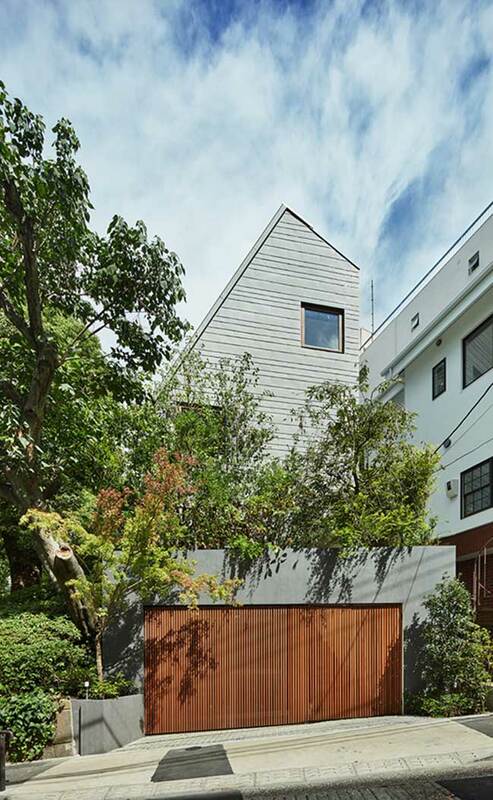 The east and north sides have the favorable environment for they face a park while the south and west sides face tall apartment buildings. 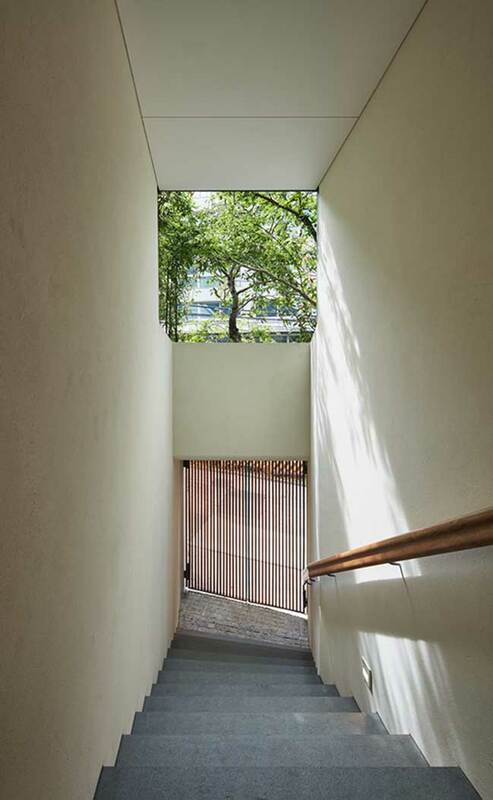 Therefore, we planned vertical flow on south and located the living/dining/kitchen on north to overlook the park. 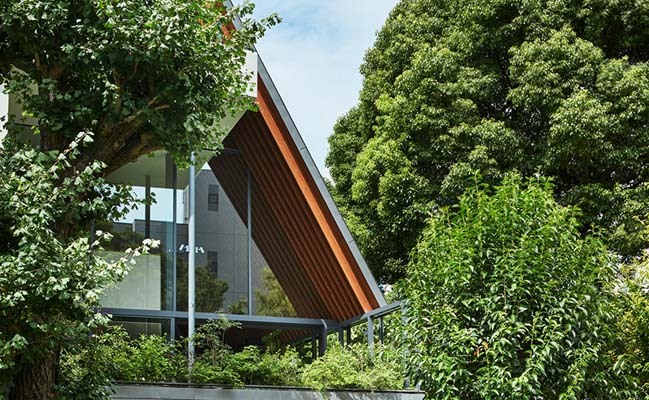 In order to solve our biggest concern, which was bringing light into the living/dining/kitchen, we paid our attention to the large camphor tree on the north side. 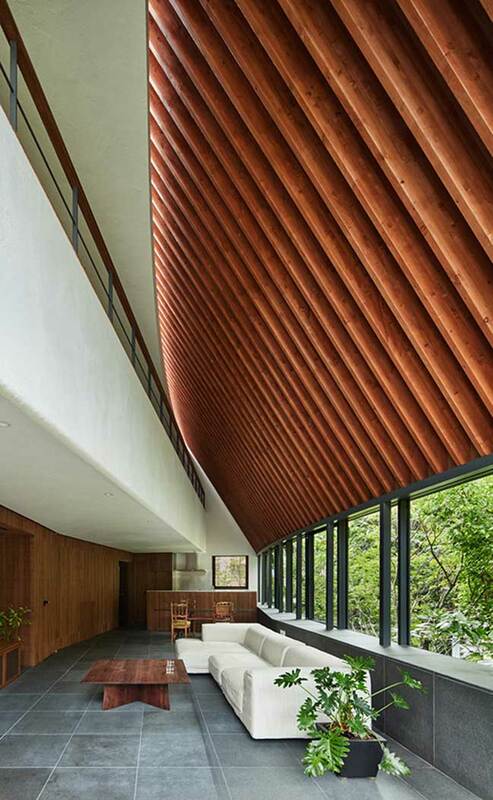 This evergreen tree is called a laurel, and the leaves are coated with a waxy cuticular layer that make them highly reflective. 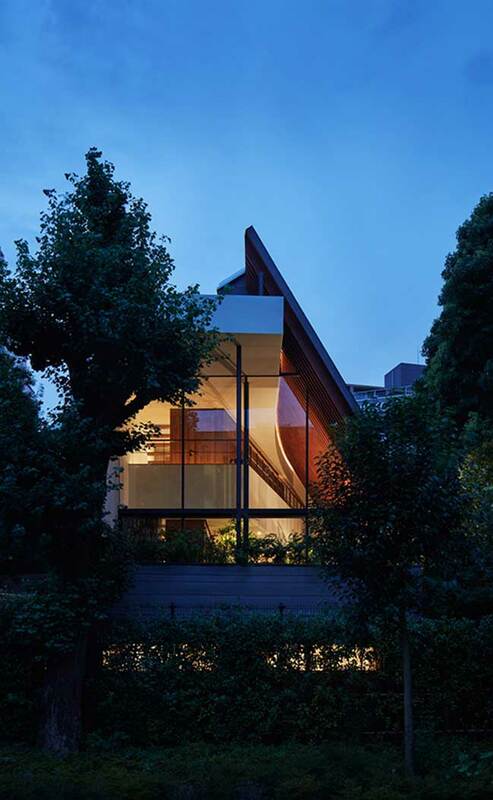 We tilted the northern exterior wall inward to ensure that the sunlight from south can penetrate the camphor tree, and employed an inverse conical shape on the roof to gather the light on this natural reflector. 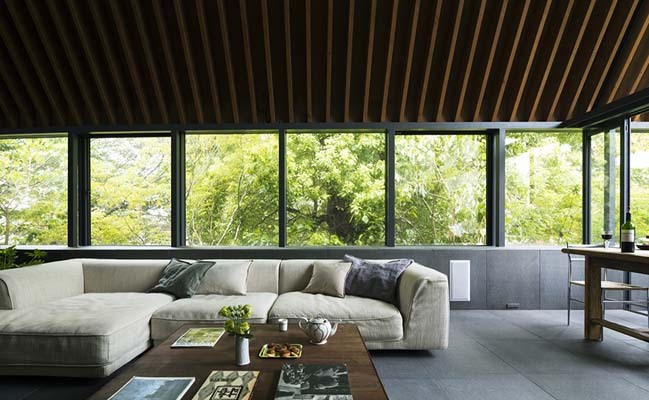 Finally, we planned horizontal band windows to bring indoors the gentle greenish light emitted by the glossy camphor trees after absorbing the sunlight. 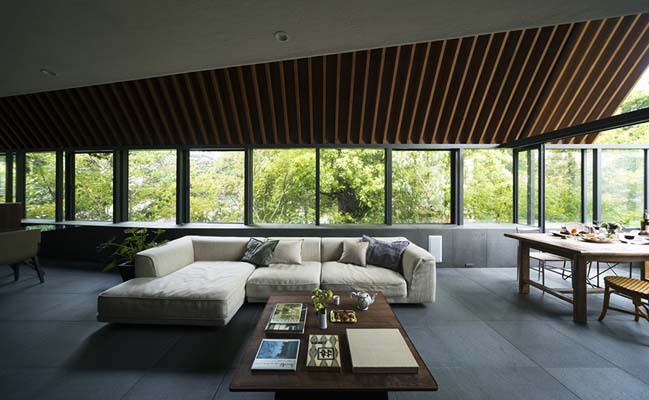 Ancient Japanese tea-ceremony rooms cleverly bring unique light indoors by positioning the glossy leaves of camellia in the sun; Our methodology is similar to this in harnessing the relationship between garden and architecture. 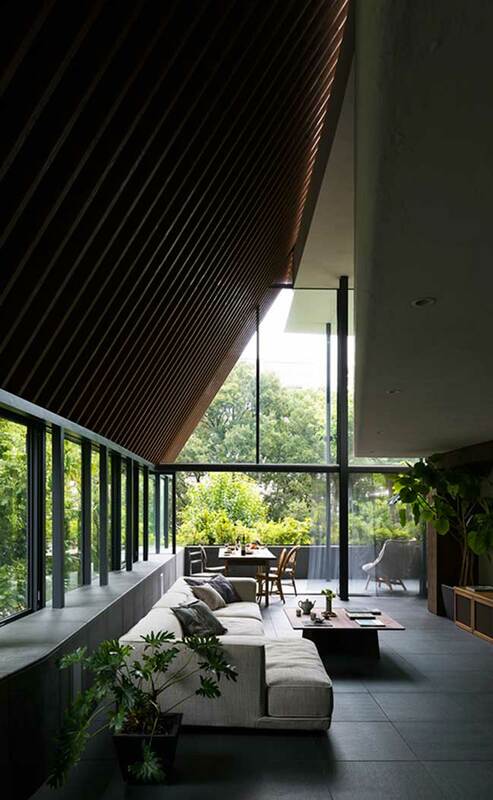 Also, by placing a skylight and ventilation windows on the upper part of the elevated ceiling in the living/dining/kitchen, in summer, updraft pulls the cool air under the camphor tree into the house. 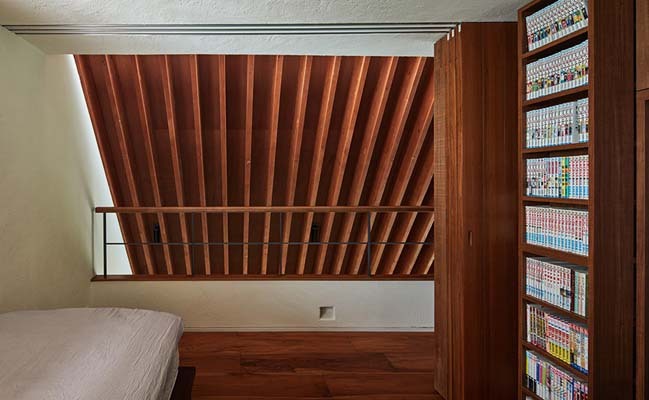 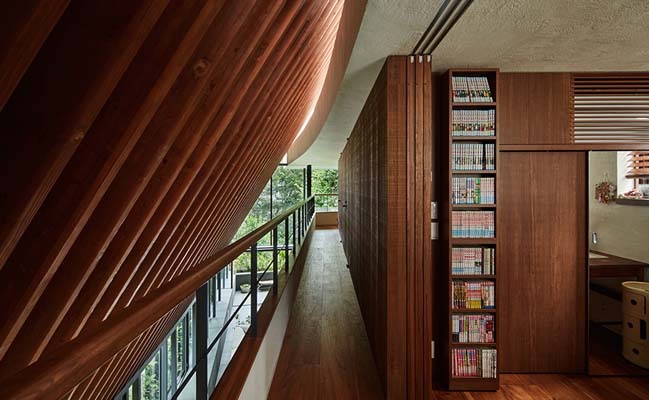 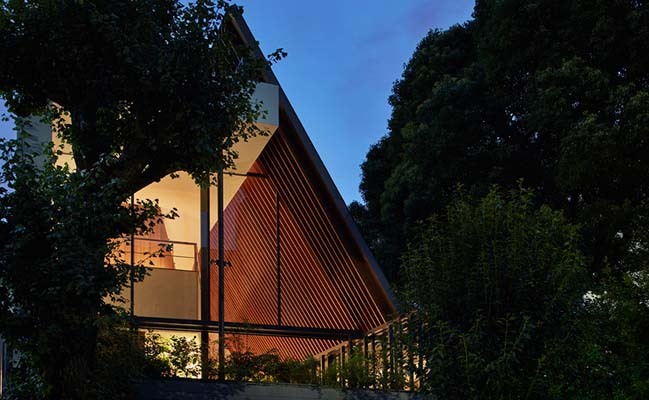 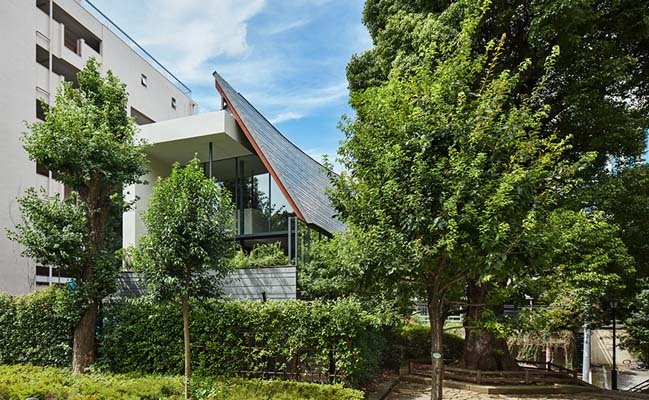 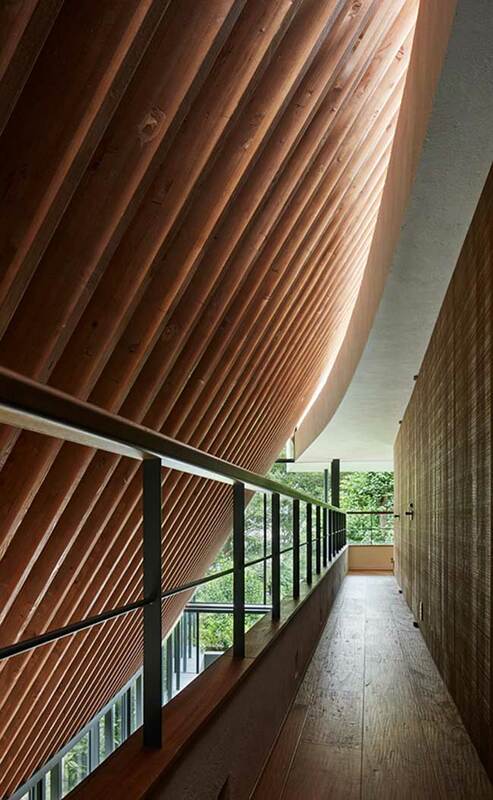 In this house, the camphor tree and architecture coexist while benefitting from each other.